Why do bridal shops ask for my budget? 1. Our stylist’s job is to find you a bridal gown regardless of your budget. It is important that you are honest about your budget, as we are not interested in putting you in gowns that are well outside your budget range. While most of our gowns fall between the $1000-3000 range, there might be the perfect sample waiting for you in the back room that will fit into your budget! 2. We are not interested in “maxing out” your budget. Again, our job is to find you the perfect gown and accessories- we celebrate each time a client finds her perfect dress regardless of the price. If profit were our number one priority, Blush would be run quite differently! 3. While it’s fun to try every gown on during your shopping experience, it really isn’t productive. Nothing breaks our heart more than a bride returning after her first visit and telling us that her dream dress at our store is well outside her budget. We don’t want brides to fall in love with gowns that are outside their budgets either! 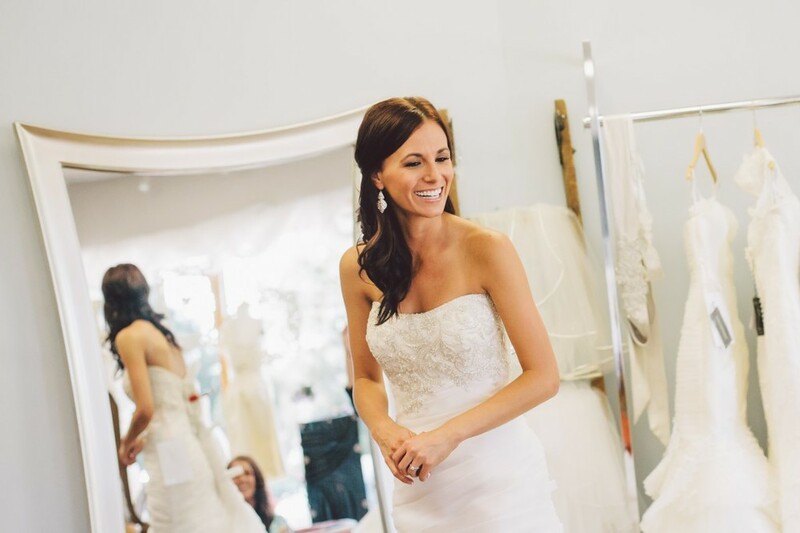 Our stylists job at Blush is to make your bridal gown shopping as relaxing and personalized as possible. While the “budget question” seems a bit forward when you begin your gown shopping, really it is just so our stylists can do everything they can to find you your dream dress in your budget!